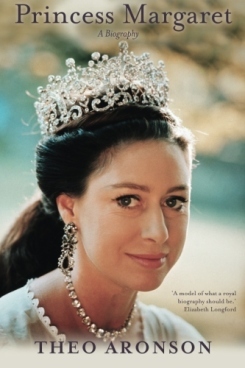 Part imperious royal figure, part femme du monde, Princess Margaret spent the greater part of her life torn between meeting the exacting standards of the monarchy and flouting its long-established conventions. She has been described as tragic, unresolved, a royal maverick, a woman of conflict, a princess without a cause. From any viewpoint, she remains the most interesting member of the royal family. Widely praised on its publication in hardback, this is the first detailed, in-depth study of this controversial figure. A respected royal biographer. Theo Aronson is uniquely qualified to tell the Princess's story — from her private and public life. He has been helped by many who know Princess Margaret and has drawn on several new and unfamiliar sources. He has also had the incalculable advantage of several audiences with her, allowing him to incorporate many of her memories, observations and opinions in his book. This is a fresh, frank and highly entertaining account of an always colourful life. "Theo Aronson's latest royal book is a model of what a royal biography should be... The problems of being a princess in today's monarchy are vividly implicit in every page... I found the book eminently readable in an easy style that lends itself to wit and irony..."
"A balanced and on the whole generous interpretation of this most elusive of royal characters. Aronson expounds convincingly the almost intolerable pressures to which a woman of intelligence and character must find herself subjected when entrapped in the mesh of royal responsibilities." "Theo Aronson is a practised royal biographer who writes with fluidity... It is good to find royal gossip in which no one is absurdly inflated and no one viciously demeaned." "Aronson's strength is his style: he is an elegant writer who can handle the broad picture and the telling detail." 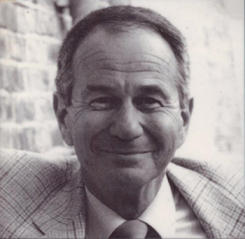 Theo Aronson is the author of over twenty works of royal historical biography, published in eleven languages. Among the widely read are Grandmama of Europe, The King in Love, Napoleon and Josephine and a biography of Princess Margaret. In the course of researching and writing these books he has interviewed major and minor members of Britain's royal family and members of the royal households, as well as various officials, servants, friends and others whose lives are in some way connected with the monarchy.